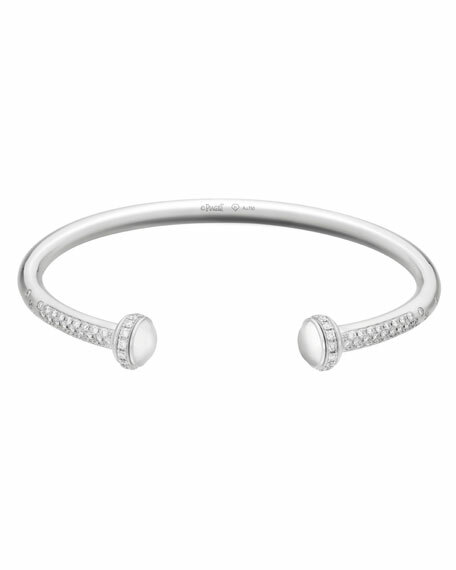 Inspired by the iconic ring, Piaget offers a playful and trendy bracelet in white gold. Presenting two turning bands paved with a pure line of diamonds and spotted diamonds along the bracelet for a precious version. PIAGET bracelet from the Possession Collection. Two turning bands with pavé diamonds. Pavé diamond trim along sides. 90 brilliant-cut diamonds; 1.00 total carat weight.